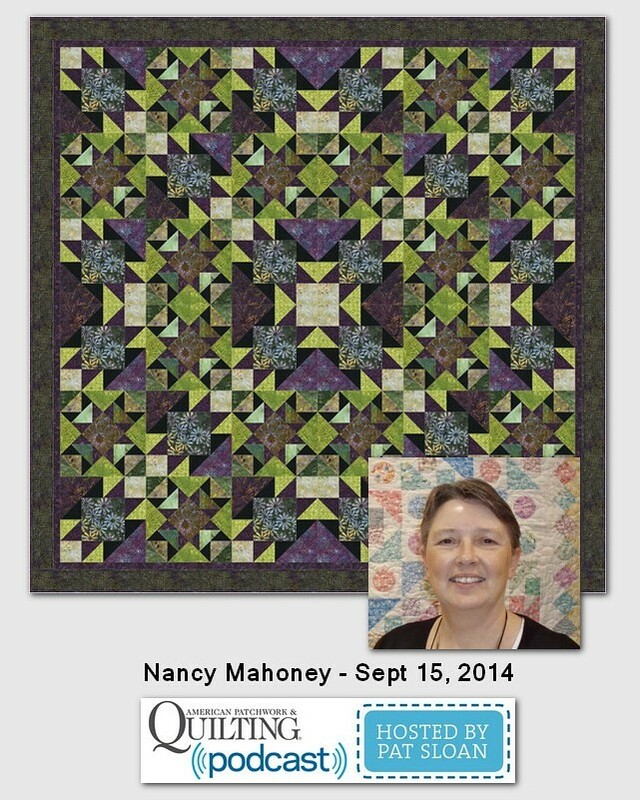 Nancy Mahoney is joining me each month in 2014 to chat about a topic indepth. Today we are going to discuss applique, what the different styles are, the pros and cons and tell you the fastest easiest method we think there is for those that want to start! I love Amy Walsh's style, she designs as Blue Underground Studios. 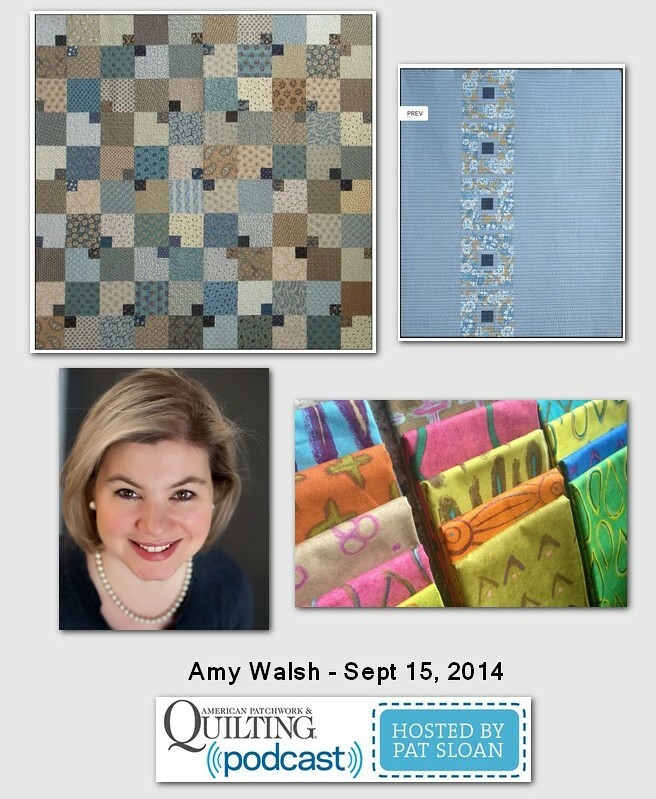 Amy has new fabric lines, new designs and she even teaches the 2015 free BOM at Craftsy this year. All this while being a middle school teacher! Amy also likes using the color wheel and has a tip for us! 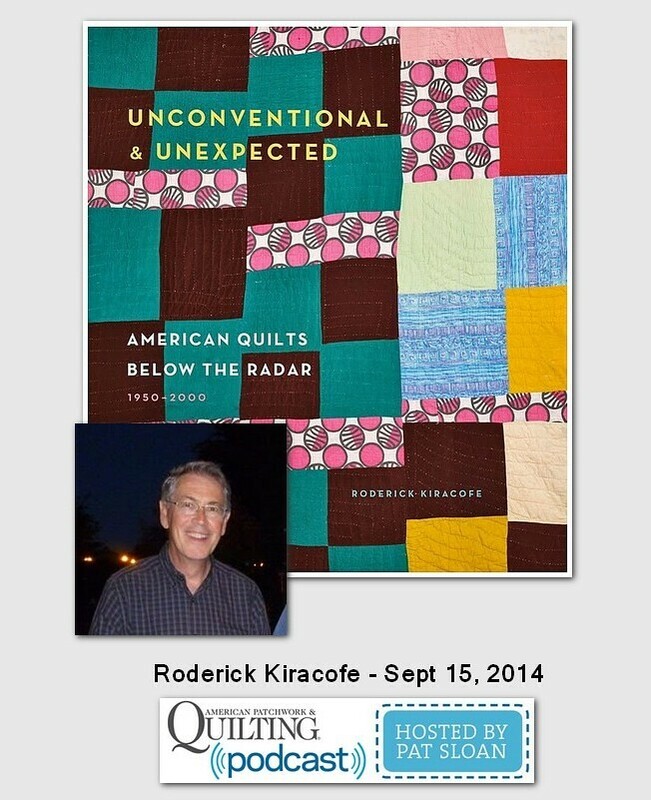 Roderick Kiracofe is an author, quilt collector, and a former quilt dealer. His eye for quilts is amazing. Look on your book shelf and if you have The American Quilt, you know Rod's work already. His latest book is called “Unconventional & Unexpected' American Quilts below the Radar 1950-2000. These quilts are the ones many of us grew up with and he has put them, their makers, and when possible...their story. All put into an amazing book. I am excited to have him tell us about it! 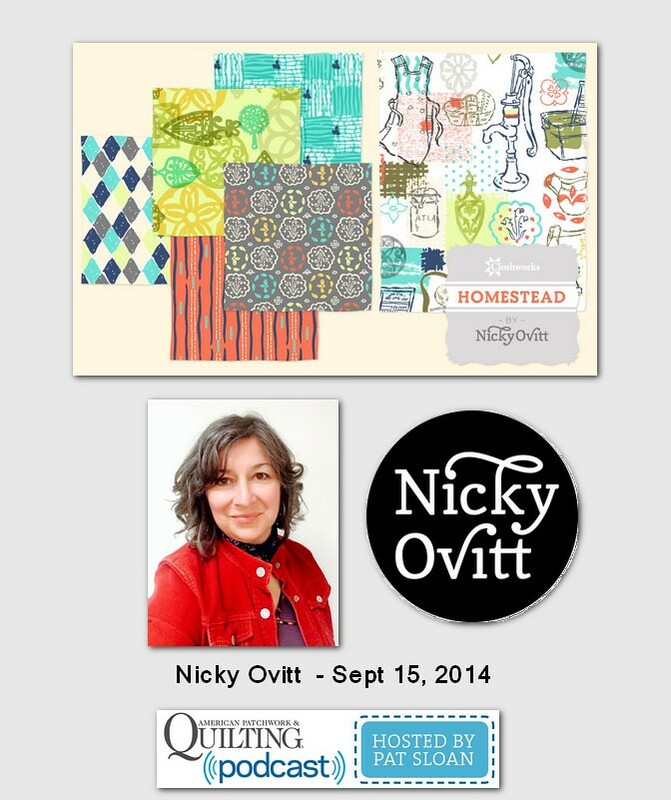 I am delighted to chat with Nicky Ovitt today about her fabric collection called Homestead. She has an amazing story about how the fabric came to life. Nicky is an amazing artist whose work has been on many things and we now have it on fabric!